Founded in 1975, TEMPO Milwaukee is a professional networking organization for Milwaukee businesswomen in senior leadership, C-Suite and executive-level roles. 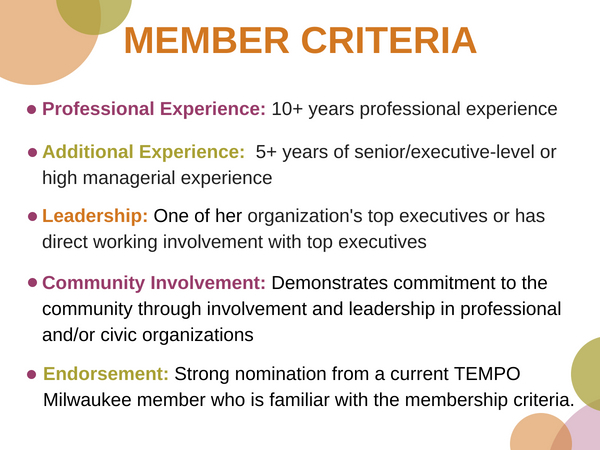 The typical TEMPO Milwaukee member is a senior leader within her company/organization with at least five years of experience in a senior-level role. 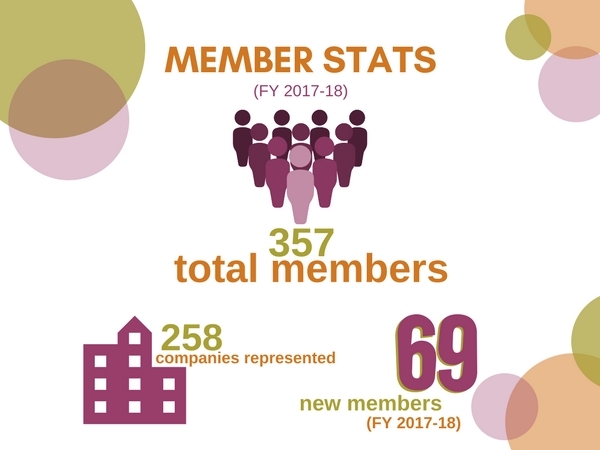 Members are highly active in the community, serving in leadership roles on boards, committees, etc. 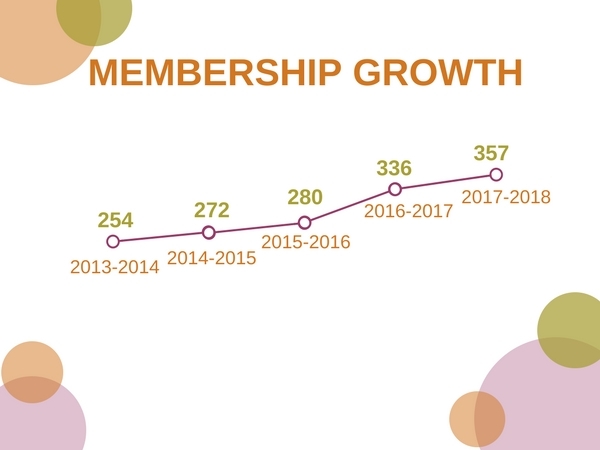 TEMPO Milwaukee’s 350+ members join the organization for leadership, networking and mentoring opportunities among their peer group - women who have reached or will soon reach the pinnacle of their careers.